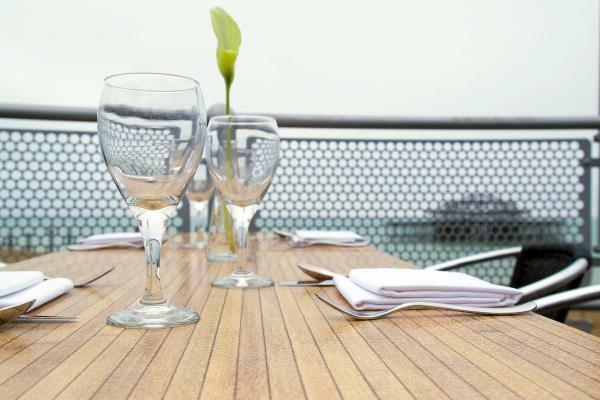 At Alfresco restaurant Brighton customers can choose to eat in the luxurious upstairs restaurant, relax outside on the decked terraces, or enjoy a more intimate atmosphere of the downstairs restaurant. Basking in the shadows of the West Pier, Alfresco’s spectacular setting means it offers unparalleled views along the Sussex coast as well as a variety of stunning photographic backdrops unrivalled by any other beachside venue in Brighton. Head chef, Francesco Furrielo, was formerly of the much loved and awarded One Paston Place in Kemptown. He brings many years’ experience with him to Alfresco and a passion for locally sourced ingredients and produce. Alfresco is a venue that can take on many guises, from a fantastic bar and restaurant through to wedding and events space. One thing that never changes is the superb and professional service that you will receive and the seasonal fare. Alfresco focus on using local and seasonal produce that is used to create modern interpretations of classic Italian dishes. Focussing on creating fresh and rustic styled Italian dishes the food aims to be the best Italian food in the area. With a full a la carte and seasonal set menu to choose from there are plenty of options for diners. If you are looking for something a little more relaxed the bar menu is extensive and sits nicely alongside their cocktail and wine list. Built for the Festival of Britain in the 1950’s, the historic Milkmaid Pavilion that houses Alfresco has undergone a number of dramatic changes since being taken over by the restaurant family in 1996. This culminated in the triumph of constructing a glass restaurant on the roof of the existing building. Occupied by squatters in the mid-1990’s the building had to be completely renovated from scratch and was completed with the erection of the glass restaurant in the Millennium year. 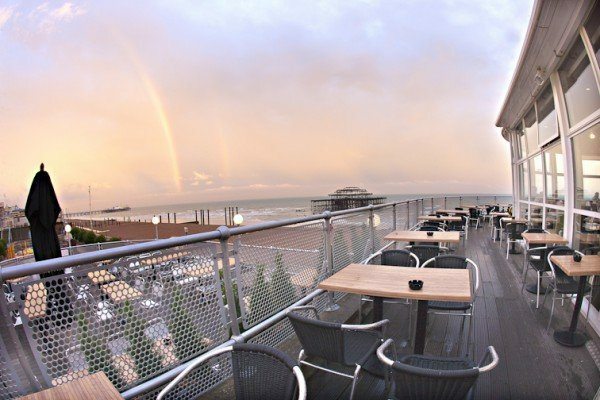 Romantic setting, incredible views and a Brighton institution. Love visiting this venue it really is part of the Brighton furniture. Have not eaten an evening meal for some time but the coffee is great and the staff are always super friendly.